Do you have a custom written OS/2 application? Favorite, classic OS/2 productivity, word processing, spreadsheet, or graphics applications? OS/2, Windows 3.1, or DOS games? ArcaOS runs all of those just like OS/2 Warp 4, only better. 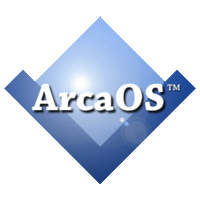 ArcaOS is more compatible with modern hardware, makes more efficient use of memory and system resources, and installs more easily than any other OS/2 distribution…ever. Really. Do you have a system with 16GB of RAM in it? Want your apps to really fly? Configure ArcaOS to utilize all memory above 4GB as a RAM disk, and at bootup, copy your most frequently used applications there. It’s like running your OS/2, Windows, DOS, REXX, Java, and ported Linux applications on air. Visit our store to license your copy of ArcaOS today, view some screenshots, read some comments by others, or visit our wiki to learn more. Have some quick questions? Check out our FAQ. Want even more info? Create an account and subscribe to our blog for regular updates.